Righteousness. Have you ever heard someone openly share something they struggle with? Maybe it was an addiction, anger, pride, lust, envy, gossip, overeating, a disease, a death in the family, a work problem, etc.… When someone is transparent about a struggle in their life we listen; especially if we have the same struggle. In Romans chapter 7, the curtain is drawn and we peer through the window deep into the Apostle Paul’s heart and mind as he struggles. He’s struggling with the yearning to be righteous, in right relationship with God, yet there is the recurring reality of sin in his life. You and I yearn for righteousness too. And while there is a certain amount of comfort and community in knowing that our struggle with sin is something that others go through, that’s not enough. If our struggle with sin would remain forever, ultimately that would lead us to despair, to cry out, “What a wretched man I am! 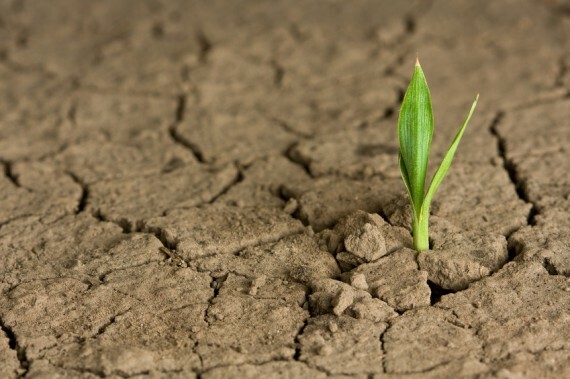 Who will rescue me…?” (Romans 7:24) In other words, “is there any way to reboot?” St. Paul answers his struggle and ours, “Thanks be to God, who delivers me through Jesus Christ our Lord!” (Romans 7:25). Peace: God calls us to a life of peace, but that can be difficult in a world fraught with danger, conflict, chaos, distractions, and demands. Often we are driven to seek peace in possessions or within ourselves. This kind of peace is shallow, at best. God promises something better, God promises a reboot. He tells us to bring all our worries to Him, all our problems to Him, to place our faith in Him, and He will give us peace (Philippians 4:6-7). He calls us to repentance and graciously forgives our sins and looks upon us with acceptance and favor. God’s peace is rooted in a relationship with him. God’s peace sustains us through life’s challenges. God’s peace endures. “Come to me, all you who are weary and burdened, and I will give you rest,” Jesus says. (Matthew 11:28). Love: All of us go through times where we make mistakes or are unlovable. Many times when we mess up, we have the hardest time forgiving ourselves. We continually replay the situation and think of all the ways we should have/could have handled it differently. Satan uses these “if only’s” to cause us to doubt ourselves and “prove” to us how unworthy we are. But God, on the other hand, often reminds us of His goodness and grace. We mess up and need a Savior (Romans 3:23-24). We need a reboot. In Isaiah 43, we clearly see that Yahweh has “redeemed you.” He stated, “You are mine” and “Do not be afraid, I am with you.” Rather than beating ourselves up over what we have done wrong, we are to remember the promise that we are redeemed and He is with us. As we go through this series over the next few months, may you and I learn to turn to God with our regrets. With repentance in our hearts, may we be freed from whatever is behind us that has us stuck … and allow God to “Reboot” our lives and receive new life in Him. Truly there is no regret He cannot restore, and nothing broken that He cannot rebuild. 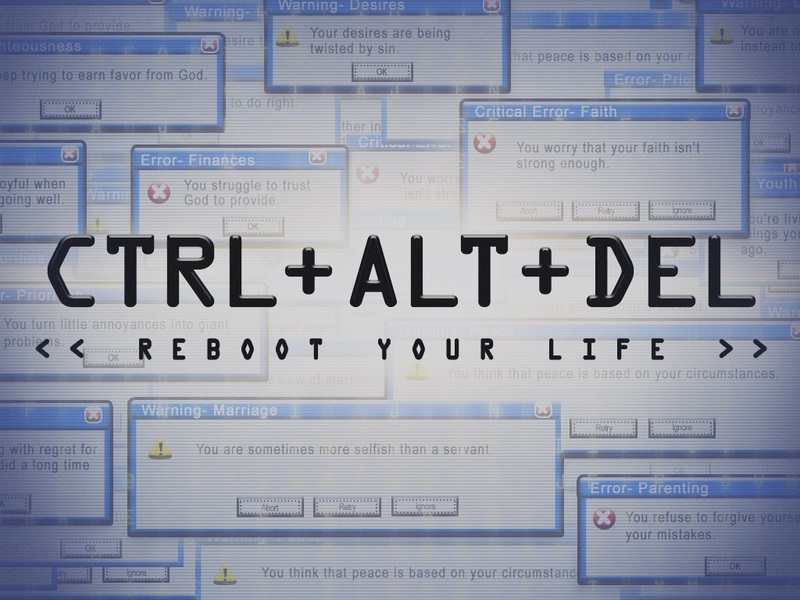 Just like the buttons Ctrl+Alt+Del on a computer allow us to start fresh, so too does the forgiveness that we receive in the Father+Son+HolySpirit allow us to reboot our lives! [i] Thanks to Rev. Dr. Michael Hayes for providing materials used in this article and series. At this year’s Best Practices for Ministry conference in Phoenix, one of the keynote speakers was pastor Jeff Cloeter from Christ Memorial Lutheran Church in St. Louis, MO. His session was titled “Loved and Sent.” These two words really struck a chord with me and I think they represent much of what “Joining Jesus in our Community” means to us. As Christians we are first loved by God. This is what draws us to Him, and what gives us our foundation. In essence, being loved by God answers the question – that all of humanity has always asked – “who am I?” It is a question of identity. All too often, we let the world define who we are. We let popular media, or the opinions of others set the stage, and establish the playing field. We buy in and we begin to ask the questions the world asks … Are we pretty enough? Strong enough? Smart enough? Successful enough? And whether we find the answers we like to those questions, we still feel uncertain about who we are, so we continue to search for our identity in terms of our jobs. Have you ever done this – you meet someone new and so you ask them, “what do you do?” … as if our jobs are our identity. But we are human “beings” not human “doings.” Our identity is established by whom we belong TO – we are a loved child of the Most High God! Once we understand this, we gain great strength, confidence, and hope. With the question of identity firmly settled, and in relationship with Jesus, we move on to the question of purpose. For insight into that, we look to Jesus, the author and perfecter of our faith (Hebrews 12:2). When we do, we discover His purpose and why He came into the world – to seek and save the lost. (Luke 19:10). What we further learn, is that He is still seeking and saving the lost through us. How is that? He was sent by the Father, and now He sends us to continue His mission. The Father’s Love compelled Him to sacrifice His one and only Son. The Son’s love compelled Him to take on flesh and die a brutal death. And our love for God compels us to go and make disciples. Love cannot sit still. And so we as loved people are sent to our community for important work. We continue the work of our Lord in our homes, offices, neighborhoods, classrooms, stores, restaurants, bars, clubs, auto shops, hair salons, gyms and generally wherever we are. We do this to bring Christ’s love to a lost and hurting world. This answers the other great question of humanity – “why am I here?” If you want purpose in life, there can be no greater purpose than to continue on the mission and ministry of Jesus Christ! We are more loved than we ever imagined, and sent with more purpose than we ever thought possible! If someone asked you what a person needed to live, what would you say? You might answer food, water, oxygen … right? But would you answer “HOPE?” Certainly a human body needs food, water, oxygen and a number of other things to live. But I believe the human spirit needs something else to survive. It needs hope to live! But where is one to find this life giving, spirit feeding hope? O, “praise be to the God and Father of our Lord Jesus Christ that in his great mercy He has given us new birth into a living hope.” The Apostle Peter says in his first epistle that God is the one to give us this hope. We don’t need to forage for it, purchase it, or produce it in any way. It is merely a gift – mercifully given. And he goes on to say that what seals this hope into a firm promise is the resurrection of Jesus Christ from the dead. – that’s the Easter message we proclaim! And who doesn’t need hope? Look around you. The widow who has lost their life partner needs hope – and lots of it. The young couple just getting married is filled with hope – and rightly so! The family struggling with finances needs hope. The person who just got the news that they have a dreadful disease needs hope. And each of us, facing our own struggles and mortality needs hope. That’s why this message that God has given us hope for life in the resurrection of Jesus Christ is so powerful and so needed! We are all lost without hope. Ultimately, whatever hope we have must be in someone or something strong. A hope that is placed on self is misplaced, because when we are weak or faced with insurmountable problems then our hope vanishes. A hope that is placed on something unknown, or yet to be, is really nothing but a “wish” – and is ultimately an empty hope. But a true and powerful hope comes from trusting in someone or something who is in control even in the most difficult circumstances, and who is powerful enough to accomplish that which we are unable to do. Some people are still searching for that hope … but we know Him to have been revealed – Jesus Christ! Why do we place our hope in Him? Because as the Apostle Peter testifies, and as we celebrate this Easter – Christ was crucified, but He was raised from the dead and is alive! Jesus’ resurrection is proof that God is in control, and that He is all powerful! May your baptism (new birth) into His Name give you a living hope that the same power that raised Jesus from the grave, carries you through all circumstance of this life until one day you are raised to eternal life with Christ. We do not know how to “keep Christmas well”, if our stress, spending, and spiritual celebrations were to be used as the evidence. We need to know how the Lord would have us “keep,” or observe, the birth of our Savior. Throughout this series we will describe and discover how we, like Dickens’ main character Ebenezer Scrooge, have failed to keep Christmas and how we, like he, are in need of a visitation; not by three spirits, but by the Holy Spirit (1 Cor. 2:12), with the result that we find and celebrate what the Lord most wants us to have – and keep – this Christmas. The ghost of Christmas Past came to “reclaim” Scrooge. In the same way, Christ came to ransom, or reclaim us. The ghost takes Scrooge on a journey all the way back to his childhood. Then the next ghost takes Scrooge to the present day where he must confront the world that he has created for himself. He learns of the way that others speak of him and his scrooginess. He is shown that the actions of the present will shape his future – but that future is changeable. So it is for us Christians. Christ forgives our past and as we turn from our sin He then works in and through us to fashion a future for us – a better one. 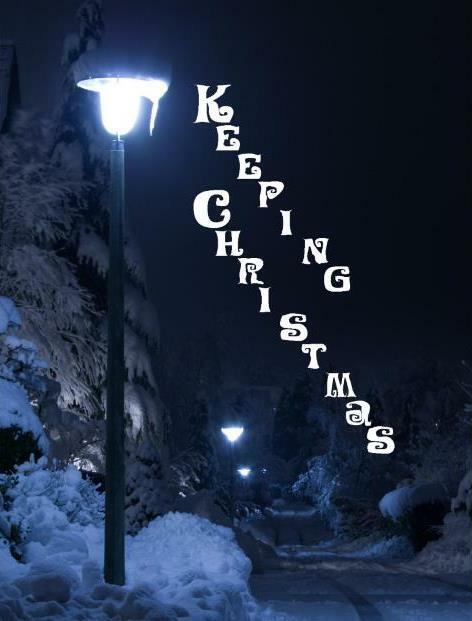 How do we hope to “keep Christmas” this year? How might we serve those around us as a way of keeping Christmas well? The Apostle Paul underwent his own “visitation” as he was overcome by the blinding light of Christ. In that experience, Paul was transformed by the only power that can transform any of us: the grace of God. It is the Spirit’s power that enables us to die to self. And it is God’s grace that gives us new life, the life of Christ. May we keep it well. During this month of our national elections, as well as Veterans Day, we Americans often find ourselves taking stock of our freedom. What a wonderful blessing it is to be able to vote for our leadership and to have the freedom to talk about our faith. We appreciate that this freedom comes at a cost to those who risk their lives and have even offered their lives to protect our freedoms. Even more, as Christians we revel in the freedom from sin, death and condemnation that we enjoy because of our Lord and Savior Jesus Christ – who gave His life for our sakes (John 8:36). November also finds us pausing for a national day of Thanksgiving. And so it’s fitting that we take time as a congregation to reflect upon what we have been blessed with, how faithful our Lord has been to us, and what it means to be His children. As we do, we contemplate our gifts and offerings and we consider making a commitment to the Lord’s work through Redeemer by the Sea during our Giving to His Glory stewardship emphasis. People sometimes ask me, “Do I have to make a pledge?” The simple answer to that is, No. 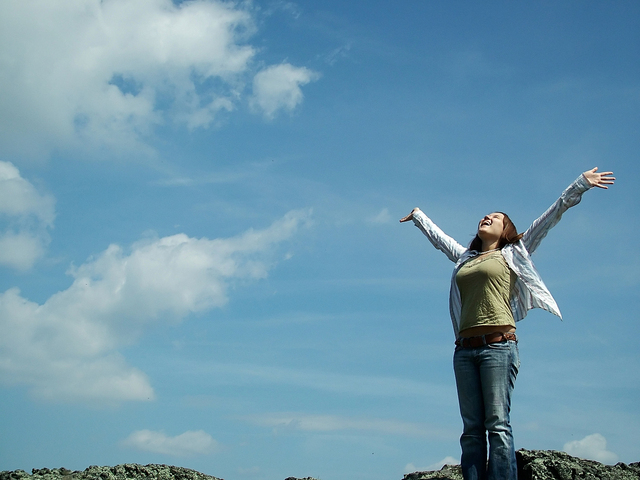 Quite frankly, you don’t have to do anything – you have much freedom. the Apostle Paul even acknowledges that all things are permissible (1 Cor 10:23a) – but He quickly adds that not all things are beneficial or profitable (1 Cor 10:23b). The truth is, there is much value to be had in making a pledge – not because of any obligation or guilt, but because of what the pledge signifies. It signifies a recognition on our part of who we are … and whose we are. It shows that we recognize that God is the owner of all things, including our life and our possessions. The question is what are we going to do with these things He has entrusted us with? The answer to that question is that we have freedom. But what kind of freedom? Christian freedom is not the freedom to be my own God and therefore to decide what is good and what is evil. Christian freedom does not mean that all God asks of me is to believe in Jesus, but nothing else. Christian freedom does not mean that I am permitted to do whatever I want even if it conflicts with what God desires for me. I do not have the freedom to abuse my neighbor or Ignore his needs. No, Christian Freedom means that we have been set free from death (Romans 8:2) we’ve been set free from the consequences of sin (Romans 8:1) we’ve been set free from the debilitating effect of a troubled conscience and we have also been set free from materialism (Mark 8:36) that makes money, and what it can buy, be our God. So as Christians we have much freedom but for what? Freedom – not “from,” but “for.” Christ has set us free to be His people. To abide in Him. To continue in His Word. We’ve been set free to love and serve God and our neighbor. We’ve been freed to represent God as His ambassadors. And we’ve been freed to generously share what God has blessed us with – looking not only to our own interest, but looking unselfishly for the interest of others (Philippians 2:4). This November is a busy month! We will conclude our study of the Book of James, which has taught us much about being mature disciples of Jesus, and then turn our thoughts toward the celebration of Advent and Christmas with all of its wonder and beauty! We may even look further toward the coming year and be filled with anticipation and hope. Whatever we do this November, let us take some time to reflect on all that God has blessed us with, and recognize that without Him we would have no good thing. May that reflection prompt us to put all of our longings and desires into perspective and humbly and prayerfully consider how God would call us to partner with Him in reaching our community for Christ! What exciting and significant work, the Lord allows us to join Him in doing. Hebrews 13:8 was the theme verse for this year’s Pastors conference with the Pacific Southwest District. I was blessed to be able to attend this year’s conference (my 16th year in our district!) 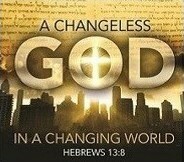 along with Rachelle and learn a number of things about how our God remains changeless even in a rapidly changing world. It seems that with all the news about Hillary Clinton and Donald Trump dominating the media (and our conversations) it is clear that we are living in a changing world. Our older members see this when they consider how the culture of our society has changed in a handful of decades. Our younger members see this when they witness new technology emerging day after day, week after week, and year after year. It does seem as though the rate of change is speeding up not slowing down, doesn’t it? … In a changing WORLD? One trend that we must recognize globally is that the “West” (meaning Europe and North America) is no longer the epicenter of Christianity. One conference speaker said that in the 1800’s approximately 90% of Christians worldwide lived in Europe and North America. In the 1990s 60% of Christians were living in Africa, South America Asia and the Pacific – and that trend is increasing. This means that as Christians, we need to respond in humility, not seeing ourselves as “rescuers” of Christians around the world, but partnering with them as together we serve the same God – diverse in cultures, but united in His Spirit. It also means that we must be careful that all of our ministry remains rooted in the Cross of Christ. Anything else won’t transcend cultures, and ultimately won’t matter. … In a changing COMMUNITY? At Redeemer we want to “Join Jesus in our Community.” This means that we actually need to get out into our community. You will be seeing more opportunities at Redeemer to get the message of the Gospel out to our neighbors and friends. But at the same time, you need to begin to expand your “invite list.” Ask God to reveal to you: Who are the people in the circles that you travel? Where is God already at work in their life? Where can you shine the light of Jesus into both their joys and their struggles? Who is God leading you to invite with you along your journey of loving and serving the Lord and His people? … In a changing HOME? Unfortunately, the landscape of our homes has also changed in recent decades. Sadly, many children experience homes where faith is not evident. Perhaps even more sadly, though, many children grow up in Christian homes where the faith that is professed on Sunday somehow does not make it to the home on Monday. Too often our homes have “outsourced” the faith education of their children. The message of the Church needs to be bolstered in our families as we continue to expose our children at all ages and stages of life to the unchanging God who is there for them, reaches down to them, loves them, saves them, and who calls them to Himself! At Redeemer, we share a Changeless God in a Changing World – with people groups who don’t look like us – with a nation that desperately needs to see the faith of Christians expressed with authenticity and integrity – with a community that needs us as much as we need them – and with homes that are rich in the grace and knowledge of our Lord and Savior Jesus Christ (2 Peter 3:18)! Do you realize that as God’s baptized people, we have the Holy Spirit dwelling within us? (Romans 8:11) At times, I’ve had people resist and even deny this clearly Scriptural concept, and yet it is true – we are meant to be “God containers” within this world! Humbling, isn’t it? Sadly, I have been guilty – with more frequency than I care to admit – of ignoring the Spirit that is within me, and forging ahead with my own fleshly desires. These may be outright sins, or they may even be “good” intentions of serving God, but they really have no basis in God’s Spirit. Rather they are more about my own pride and fears. Ouch. So what’s the solution? Simple – say “no” to the wisdom and pace of the world, and spend time with God in His Word and Sacraments, where your soul, and the Spirit within you is nourished and fed. It is only then that we can hope to bring Jesus into our family, church, community and world – not by our will, but by the Holy Spirit at work within us.